Sorry for not posting lately. I’ve had out of country visitors for almost four weeks, then I was out of the country, and next week more out of country visitors!!! All beloved and happily received and anticipated family and friends. However, all the visiting has kept me away from the blog. Only physically, though. Mentally, I am in Spain and arriving at Santiago within days. In fact, I’m heading out the door to give another Camino talk as I write this mini-blog (forgive any typos). I’m always excited to tell people about my trip and to relive the adventures as I remember my dear Camino family. 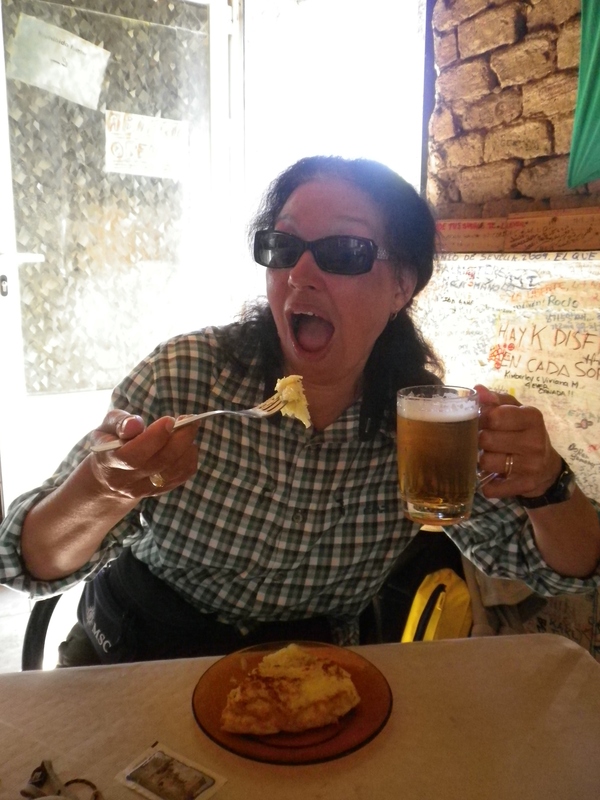 So, thank you for staying with me, catch up on your reading if you haven’t read some of my posts, and I am (sadly) looking forward to the last days of my Camino adventure. This entry was posted in camino de santiago de campostella, Jakobsweg, Spain and tagged Camino de Santiago de Campostella, family, Jakobsweg, love, Spain, writing. Bookmark the permalink.